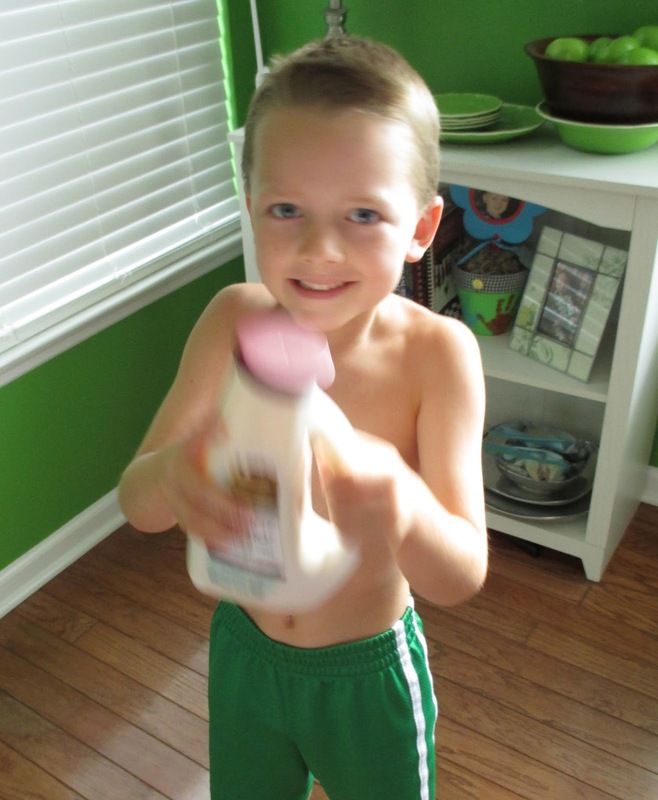 Raising Jack With Celiac : Back to School Glutino Gluten-Free Giveaway! Back to School Glutino Gluten-Free Giveaway! Rise and shine, school is back in session! So, I teamed up with Glutino and that's just what I'm having, a BACK TO SCHOOL GIVEAWAY! Add 1 C. Water and have child shake! Have you tried the pancake mix yet? It's super easy to make and super tasty too! Just add water and shake! Have you tried the pretzel chips?? They are our NEW FAVORITE! Between a cracker and pretzel - finally a cracker-like chip that Jack likes! Have you tried the Breakfast bars yet? Great for on the go, snack at school, lunchbox or afterschool treat! Have you had the Baked Potato Crisps? This are delish - they remind me of Baked Lays but are a little thinner and more natural tasting if that makes sense - perfect for lunches or after school snack with some fruit. Lastly, I'm sure you've tried the Pretzel Sticks, they've been around for a while - these are fabulous - Jack loves to dip 'em in peanut butter! Well, these Glutino goodies could be yours! Enter a chance to win below and if you can't wait to try these, head over to the Glutino store locator and find out where you can pick up some of these goodies today! Remember, not 1, but 2 winners will be chosen to receive all 5 Glutino products! GOOD LUCK! Congratulations Amber G. and Denise M. for winning the Glutino Back to School GIVEAWAY! I haven't tried the Glutino products yet but I'd love to try the pretzel sticks! I love Glutino lemon wafers! Pretzel Sticks are tasty! Thanks! I love their Chocolate Chip Cookies! I love the Glutino Pretzels! I love the chocolate sandwich cookies, but I really haven't tried anything from Glutino that wasn't delicious. Our family is addicted to the Glutino pretzel sticks! :) Thanks for the chance. I love Glutino lemon wafers with tea. I am a big fan of their pretzels, too. I have to keep my non-celiac children away from them. They like Glutino pretzels better than regular pretzels. i love the oreo cookies!!!!! just bought the Glutino chocolate chip cookies for my 8 year old after trying a couple other gluten free brands that were meh, and he loves them! The Glutino pretzel sticks were the first thing we bought when my son was diagnosed with Celiac. So easy to throw in a bag to keep in my purse for those times when there's nothing "safe" to eat! the pretzels and the breakfast bars are the only things we have tried. my son loves both of those. Have not tried the pancake batter (yet). The pretzels and the shake n pour pancakes? Can't wait to try them. The rest of the stuff? Love it already! I love the Glutino toaster pastries, especially the apple ones. My 7 yr old loves the toaster pastries, breakfast bars and chocolate covered pretzels. I like the chocolate wafer cookies. yummy! I love their crackers, especially the cheddar and multigrain! Unfortunately not a ton of their products are available in our area so I am in search of more of their products. The Pretzel Chips are actually my favorite! I have not yet had the opportunity to try Glutino products, but would love to! I'm excited to try these! Thanks for the giveaway!